Is online begging a new business model? There was a time when faith-based institutions and charitable organizations were “go-to” places when people ran into unanticipated tragedies in their lives. People experiencing unexpected scenarios — medical expenses, job loss, accidents and deaths — received help from caring individuals in their communities. Today, though, no matter the beliefs, folks of all persuasions are turning to online funding request sources to ask for cash donations. A quite popular online funding site is GoFundMe. We looked at the pages of funding requests for Columbia. What we found was that there were requests for assistance for illnesses; funeral expenses, medical bills and rent payments. There also were requests for airplane tickets, assistance to pay off student loans, a barbecue smoker setup upgrade (let’s call that a capital expense item), funding a 5K run; an indoor skate park; a study-abroad trip to China and a recreational facility’s bathroom bathroom and more. 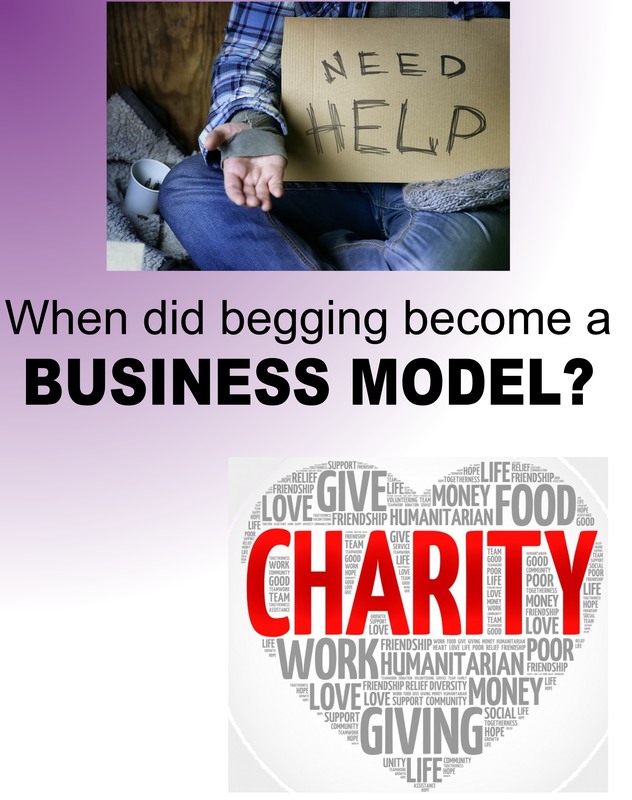 Online begging has become a revenue stream potential for practically anything or anyone. This Fortune Magazine article calls it free-market philanthropy. So, in the broadest sense, the generosity of other can satisfy the welfare of others including the business or corporate welfare system. In the free enterprise system, people can give money to anyone, any cause, any endeavor anytime they choose. We just find it curious that those condemning social services funding believe it’s OK to engage in begging just as a panhandler might do along the street. So, maybe begging is a new business model, after all. There are other online funding sources.